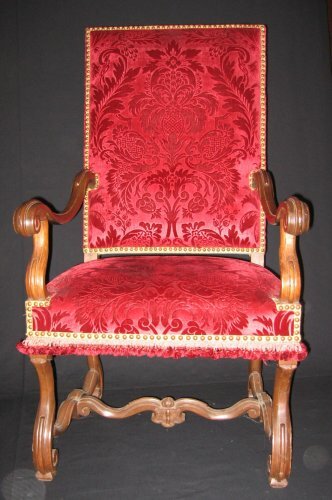 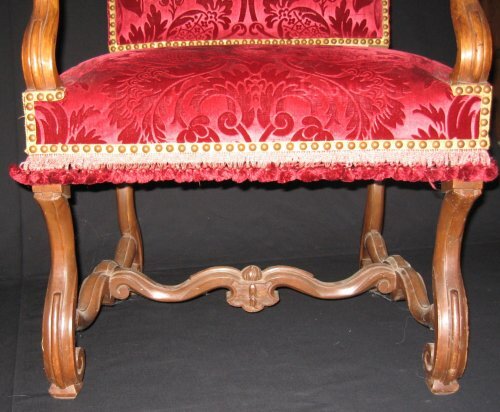 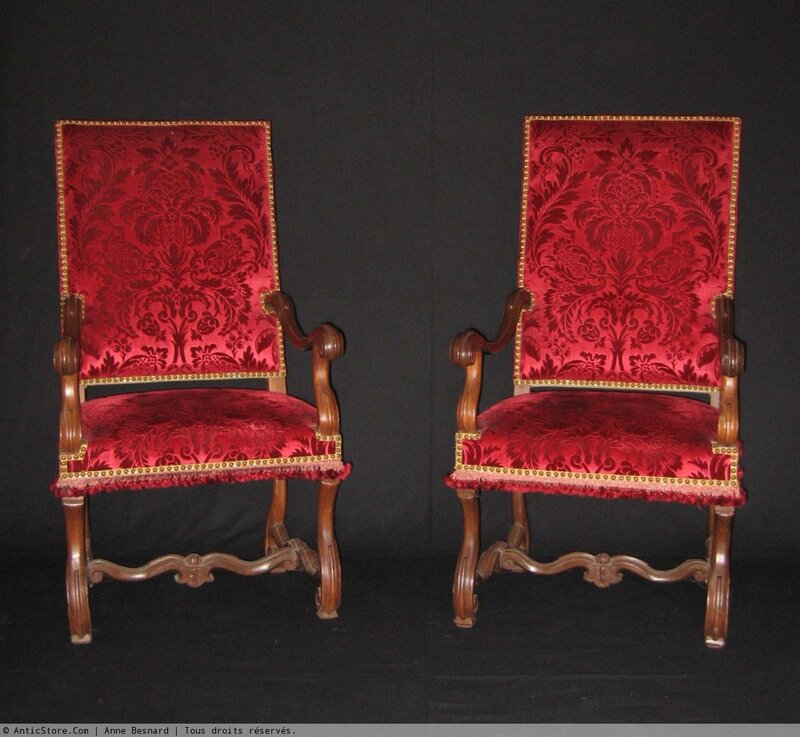 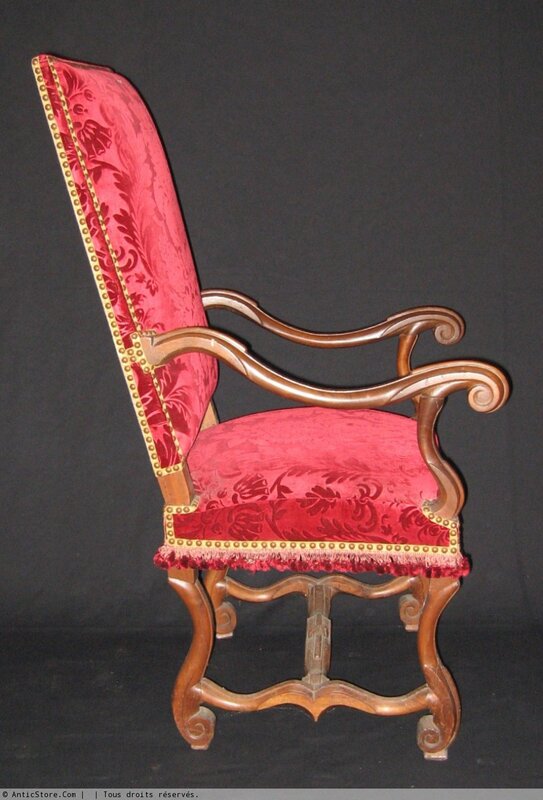 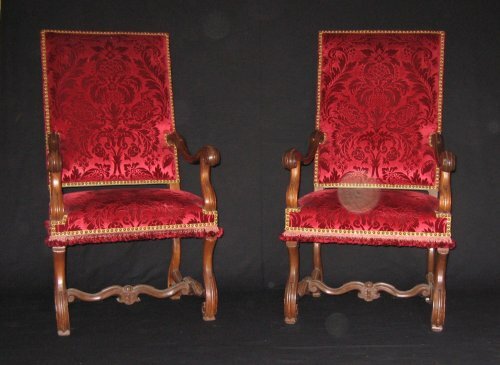 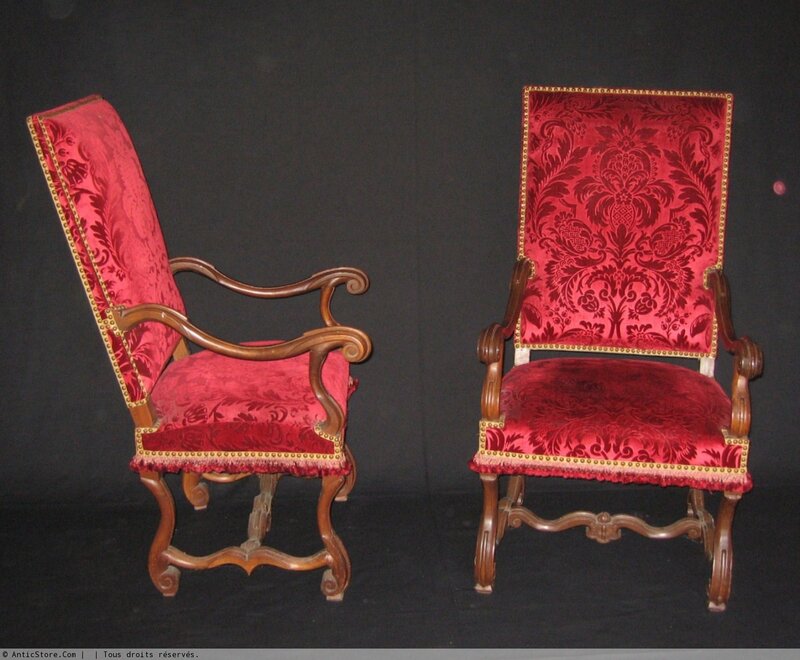 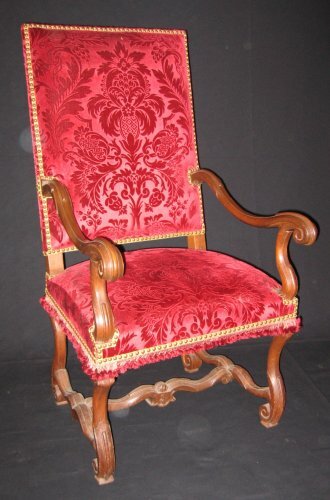 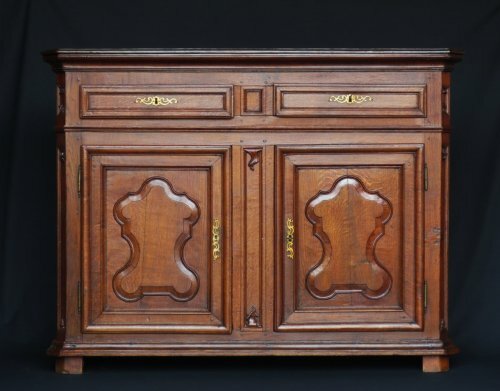 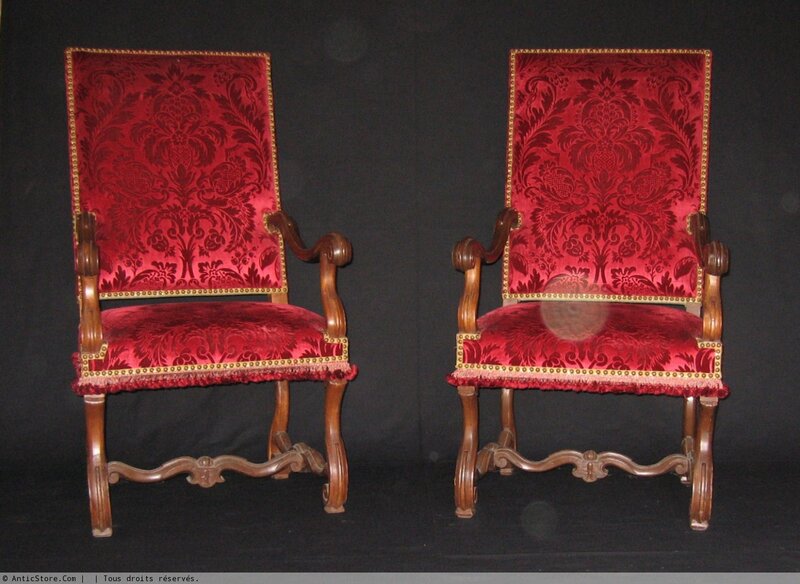 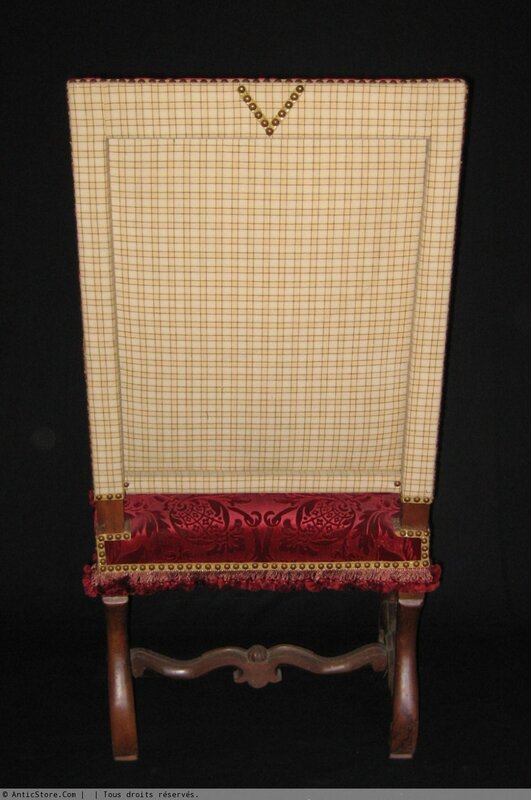 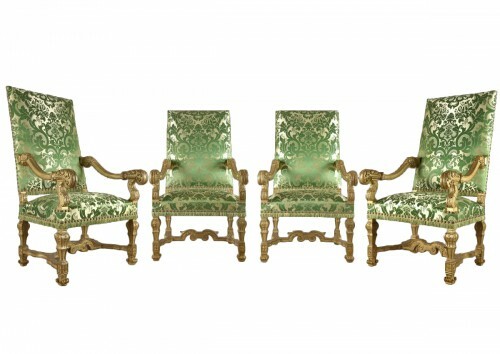 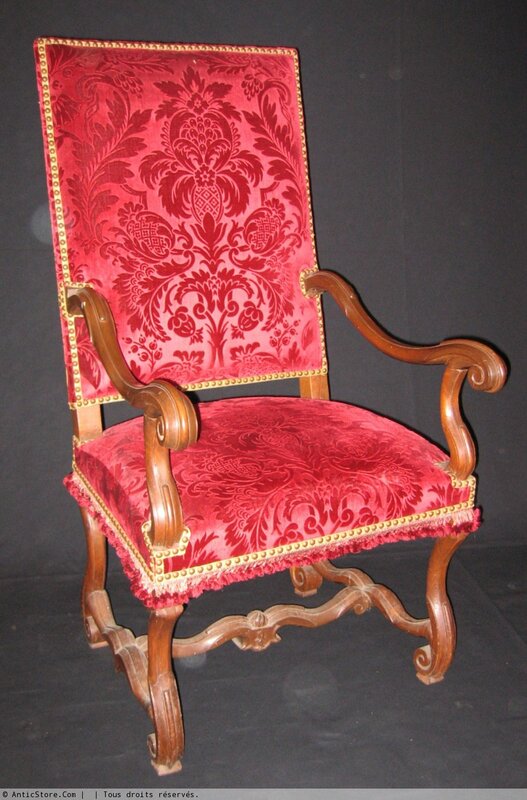 Large pair of Louis XIV armchairs in walnut. Backrests fully garnished. The armrests , the frame and the spacer are sheep bones. 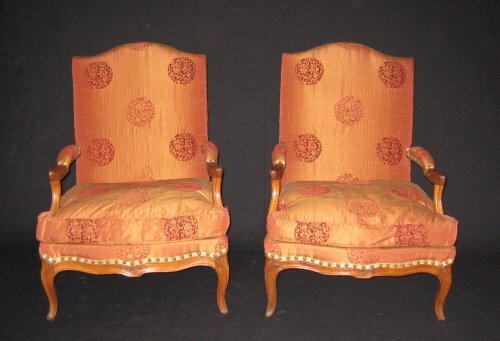 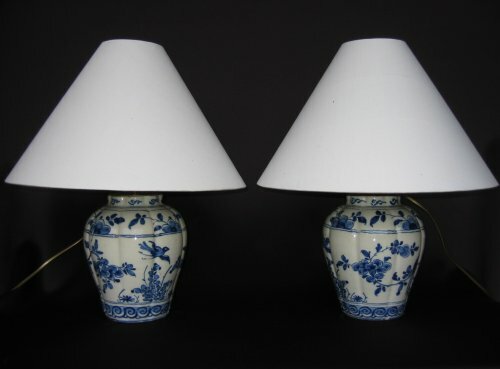 THEY are covered with a velvet fabrics embossed silk from Lelièvre. 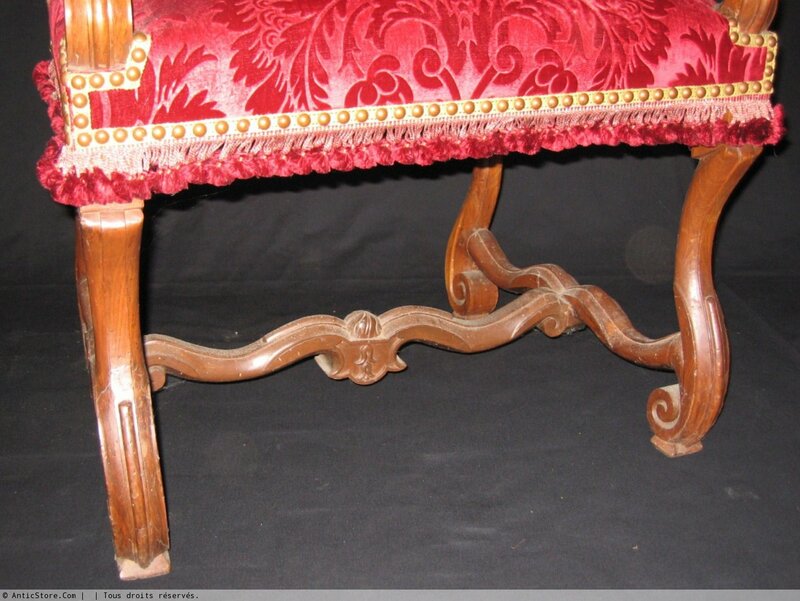 The garniture is completely redone.